New College of Florida has been a creative force in shaping the lives of more than 5,000 students, unleashing their talents and enabling them to become their ̫highest and best selves,̦ as one alumna put it. New College relies on a simple formula: putting academically talented students together with highly qualified faculty members and letting them pursue subjects of mutual interest. With a total enrollment of 800-850 students and a student-to-faculty ratio of 10:1, New College offers a personal and collaborative learning environment, where faculty and students engage in in-depth exploration of ideas and subject matter, and where students have the freedom to chart their own academic course. 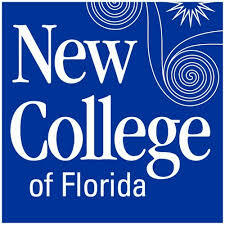 As the State of Florida's legislatively-designated "honors college for the liberal arts," New College is the only public college or university in the state whose sole mission is to provide an undergraduate education of the highest caliber to leading students from around the country. Located on a beautiful 110-acre campus on sunny Sarasota Bay, New College provides an ideal learning environment for intellectually curious, motivated students who thrive on active learning and are drawn to an intellectually rigorous curriculum.